Through our civic engagement campaigns and programs, the NYLCV Education Fund seeks to empower citizens to be effective advocates for the environment. 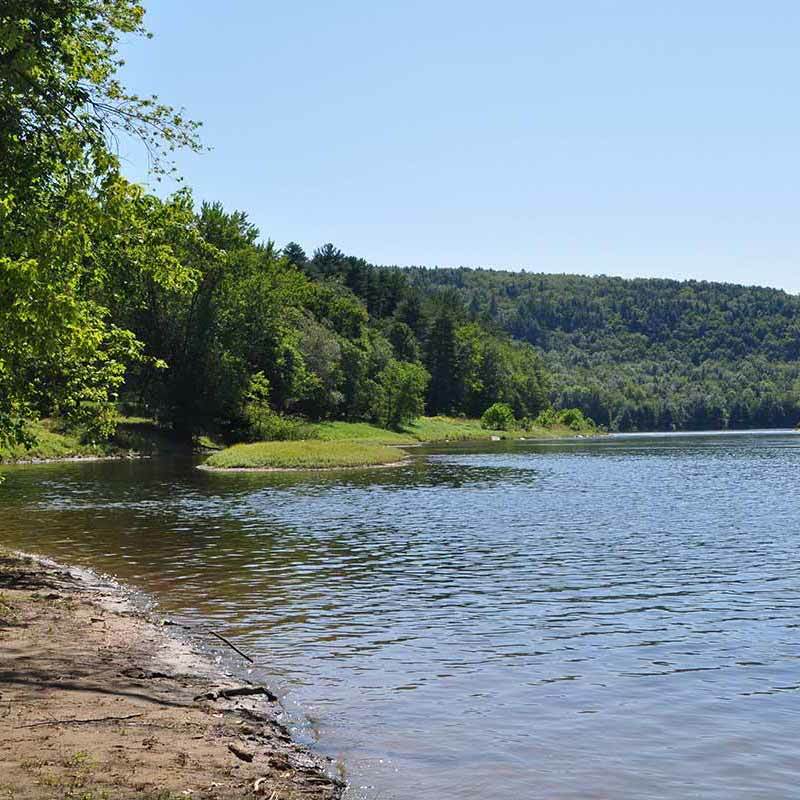 These programs target discrete communities across New York State and utilize a variety of outreach strategies to encourage citizens to learn about and take action on local conservation issues. During elections, these campaigns provide education about candidates and issues and encourage environmentalists to vote. On Tuesday, NYLCVEF hosted an environmental forum for the New York City Public Advocate special election. Moderated by Politico New York’s Gloria Pazmino, nearly 250 New Yorkers had the chance to hear where the candidates stood on environmental issues ranging from sustainable transportation to the city’s 80 x 50 climate goals. Climate change, lead exposure, and the state of the transit system are everyday issues for New York families, yet, all too often, questions on the environment are not raised on the campaign trail or in general debates. NYLCVEF held this forum to ensure the environment is top of mind for candidates and voters. Participating candidates included Assemblyman Michael Blake, David Eisenbach, Councilman Rafael Espinal, Ifeoma Ike, Walter Iwachiw, Nomiki Konst, Jared Rich, Councilman Ydanis Rodriguez, Dawn Smalls, Councilman Eric Ulrich, Assemblywoman Latrice Walker, Councilman Jumaane Williams, Benjamin Yee, and Michael Zumbluskas. The office of Public Advocate serves as a watchdog over city agencies and City Hall and has the potential to be an environmental champion in city government. The Public Advocate can introduce bills, bring lawsuits, and handle constituent complaints, which lends the position a significant amount of input on social and environmental policy in the city. Former Public Advocate Letitia James made environmental and public health issues high priorities by raising awareness about lead poisoning and organic food waste collection. As the first in line to succeed the Mayor, the Public Advocate is responsible for amplifying the voices of the people if NYC and serving as the direct link between the electorate and city government. Pazmino opened the forum with a question about Governor Andrew Cuomo’s recently proposed congestion pricing plan, which would charge cars and trucks a fee for driving south of 60th Street in Manhattan. The revenue - an estimated $600 million per year - would go towards fixing the city’s subway system. Many candidates support the idea of congestion pricing but stressed the need for additional details on the Governor’s plan. Some, including Jared Rich and Dawn Smalls, emphasized the importance of including an exemption for low-income individuals or those who live in outer boroughs. Councilman Rafael Espinal discussed the positive impacts that congestion pricing would have on reducing carbon dioxide emissions and improving air quality in the City. 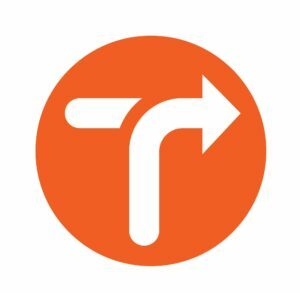 Continuing on the issue of improving the sustainability of the city’s transportation options, the candidates were asked their opinion on legalizing electric scooters. 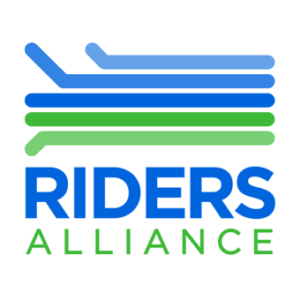 Multiple candidates including Walter Iwachiw and Michael Zumbluskas expressed concerns about safety, which has been an issue at the center of the debate surrounding e-scooters and e-bikes. However, if regulated properly, these alternative modes of transportation offer a low-emission method of getting around the crowded city streets. Candidates converged on the notion that these options can succeed with proper regulation and public education. Candidates were also asked about the city’s 80 x 50 plan, a roadmap developed in 2014 to reduce citywide greenhouse gas emissions by 80% by 2050. 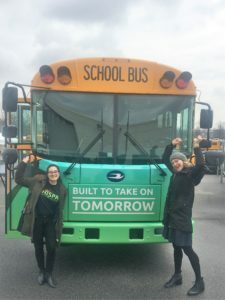 Nomiki Konst stated that the city should get to 100% renewable energy and Ifeoma Ike stressed that these changes should not take place without an eye to environmental justice. Councilman Espinal discussed his legislation to expand green roofs across the city and support urban agriculture. Councilman Jumaane Williams mentioned the City Council’s legislation to mandate emission reductions from buildings. Other ideas offered by the candidates included expanding recycling, improving sustainable transit, increasing the use of renewable energy, strengthening energy efficiency, and reducing plastic waste. Next, Pazmino asked candidates to name a policy proposal they support to increase recycling rates. Candidates suggested imposing higher fines, changing the way the city handles contracts, increasing public education, investing in larger facilities on city-owned buildings, and expanding waste-to-energy programs. Assemblywoman Latrice Walker discussed the importance of reducing food waste and stated that the City should continue expanding its curbside organic waste collection program, which was paused last year. Councilman Espinal discussed his legislation to reduce plastic bottle and plastic straw use. All but two candidates support a plastic bag ban in NYC, which could lower greenhouse gas emissions and reduce waste. Finally, the candidates were asked about lead poisoning prevention including enforcement of Local Law 1. Lead poisoning is an ongoing issue in New York, one that affects young children during their development and can have lifelong health impacts. Many candidates agreed that NYCHA should be held responsible for failing to properly enforce the law in public housing, and that pressure should be put on the Mayor to hold the agency accountable. Candidates noted that Public Advocate could act as a check on the Mayor on this issue. Assemblywoman Walker, who was born in NYCHA housing, called for more aggressive action on reducing lead exposure, and stressed the importance of monitoring and remediating lead in drinking water as well as paint. In their closing statements, the candidates discussed how their backgrounds - as immigrants, locals, attorneys, politicians, activists, teachers, and environmentalists - would serve them in the role of Public Advocate. Watch the full video of the forum here. Based on this discussion, the diverse composition of the candidate pool is evident, and it is clear that many of these candidates are passionate about environmental issues in New York, including NYLCV’s green policy priorities for 2019. The special election to fill the Public Advocate seat, which became vacated when Letitia James was elected NY Attorney General, will be held on February 26. Before heading to the polls, learn more about each candidate by visiting their campaign websites. Children’s products sold in the United States are presumed to be safe by parents but recent studies have proven otherwise. Since 2014, NYLCVEF has worked with its partners to raise awareness about the issue throughout the state and encourage action by state and local governments. In 2014 and 2015, we conducted tests in stores throughout the state and released six reports showing that dangerous chemicals were present in children's jewelry, toy cars, clothing, and more. To produce these reports, NYLCVEF partnered with Clean and Healthy New York to analyze popular toys in area stores for toxic chemicals and heavy metals. Results of this test found products containing antimony, arsenic, cadmium, cobalt, lead, and mercury. Many of the chemicals we found are known carcinogens and can lead to serious developmental disorders in children. Even with a federal law on the books, it's hard for anyone to know exactly what chemicals are present in the item they're buying. Thanks to the support of various foundations, we reached more people than ever about this issue by reaching out to new members from across the state. We even got Santa Claus into the action around the holidays to help educate even more people about these dangerous chemicals. New York State introduced the Child Safe Products Act identified and eliminated the most dangerous chemicals currently present in children's products sold throughout New York State. Albany becomes the first county in New York State to enact legislation protecting children from toxic toys in January. Westchester County executive signs bill to ban toxic toys from store shelves in May. Suffolk County becomes third to take action on toxic toys in June. Rockland County unanimously passed legislation in July 2015. In 2017, our statewide efforts continued with the introduction of the Toxic Show and Tell Act, a bill that would require children's product makers to disclose the presence of a set of chemicals of concern to children's health in the products they make. In 2018, NYLCVEF and its partner Clean and Healthy New York teamed up again to produce a new report, "Tell Me More: Missing Information on Harmful Chemicals in Children's Products" that screened children’s products purchased on Long Island, in Westchester County and Albany finding heavy metals, such as cadmium and antimony, and flame retardants. The report also includes findings of chemicals of concern in children's products that was conducted and published in peer-reviewed journals by researchers from the New York State Department of Health’s Wadsworth Laboratory. While we continue to work on a statewide solution, our local work will continue in New York City and other counties to protect children from toxic toys. Interested in learning more about our Toxic Toys campaign? Many thanks to League of Conservation Voters Education Fund, Passport Capital, Myron Blumenfeld/ the Macy’s Foundation, and the Seventh Generation Foundation for their generous support. Read the New York Community Trust's coverage of the settlement. Since 2011, NYLCVEF has served as a technical partner to the East Hampton Environmental Coalition (EHEC) assisting with the production of a common agenda, a candidate questionnaire and environmental issues forum for candidates running for East Hampton Town Board. In 2017, NYLCVEF was proud to partner with the following local organizations: Accabonac Protection Committee, Amagansett Springs Aquifer Protection, Concerned Citizens of Montauk, Defend H2O, Ditch Plains Association, Friends of Georgica Pond Foundation, Group for the East End, International Dark Sky Association – New York Chapter, Long Island, Businesses for Responsible Energy (LIBFRE), Northwest Alliance, Peconic Baykeeper, Perfect Earth Project, Renewable Energy Long Island, Quiet Skies Coalition, Surfrider Foundation: Eastern Long Island Chapter, and Third House Nature Center. The East Hampton Star, Sag Harbor Express, and East Hampton Press all covered the event. For more information about NYLCVEF’s work with EHEC, please contact Joshua Klainberg. 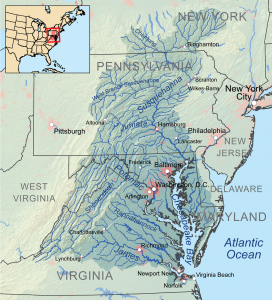 The Chesapeake Bay Watershed is 64,000 square miles and encompasses parts of six states and the District of Columbia. Pollution from agriculture, stormwater runoff, and wastewater treatment plants has threatened water quality in the region. The Choose Clean Water Coalition was formed as a coalition of more than 200 advocacy groups seeking to protect water quality in the Chesapeake Bay Watershed, and the NYLCV Education Fund is the State Outreach Lead for the coalition. The Coalition seeks an increase in federal funding for programs supporting progress toward water quality goals and endeavors to work at a local level to monitor pollutant levels in the watershed. As the northernmost region of the Chesapeake Bay Watershed, New York State must play an important role in helping the Coalition to achieve its water quality goals. In the next two years, we will work with local partners to identify priorities, promote those priorities, and build on the success of the Coalition in other states to empower New York-based organizations to achieve their goals. On October 18th, join us for a forum about the connection between the Chesapeake Bay Watershed and the Upper Susquehanna River Watershed. Register here. Amidst concerning news about water quality throughout New York and across the United States, the federal government has passed legislation that will have significant ramifications for one of New York’s most important natural resources: the Delaware River Watershed. The legislation, known as the Delaware River Basin Conservation Act, will provide an important source of funding for restoration efforts across the watershed, hopefully for years to come. The DRBCA is an important legislative accomplishment, and we must remain vigilant to protect this program while continuing to look for every opportunity to expand restoration efforts across the state. 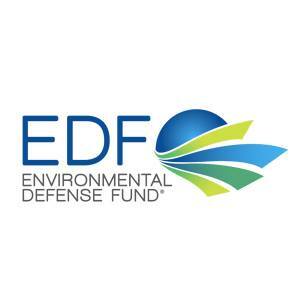 NYLCVEF is working closely with the Coalition for the Delaware River Watershed and the Delaware River Watershed Initiative to build support for additional restoration efforts at the local, state and federal level and protect the newly created Delaware River Basin Restoration Program. We will work with our partners to increase opportunities for digital engagement and advocacy on watershed issues with the long-term goal of protecting the waters of the Delaware River for millions of New Yorkers. Click here to read our background policy paper about Green Infrastructure in the Delaware River Watershed. The paper was presented as part of our forum on the economic, social, and environmental benefits of green infrastructure (GI) as an approach to managing stormwater. We are brought together expert speakers and panelists to provide an overview of green infrastructure vs. traditional gray approaches and how it can be used to protect and restore water quality. In December 2014 and early 2015, NYLCVEF partnered with the Community League of the Heights (CLOTH), a community development corporation in Washington Heights, on a petition to Mayor de Blasio asking him to include green building in his plans for affordable housing and decreasing carbon emissions. Residents of Washington Heights don’t just need lower rent - they need a strong and vibrant environment to make the neighborhood sustainable and healthy, and CLOTH recently implemented the Green 159 project to move toward this goal. Public support of programs like CLOTH's Green 159 project could have important benefits for tenants and neighborhoods. By making housing green, we can also make it affordable. Green housing can lower heating costs and reduce electric bills all while giving its residents fresh air to breathe. Through green building options, such as solar panels, rooftop gardens and improved insulation, we can provide a better standard of living at a lower cost. 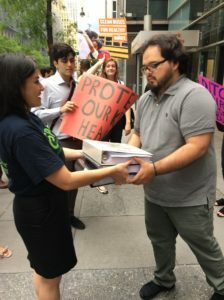 In partnership with CLOTH and Red Horse Strategies, NYLCVEF conducted a civic engagement campaign in which we knocked on 2,620 doors, spoke with 991 people, identified 782 supporters and collected 734 signatures in support of this effort. Since this campaign, we have continued our work on the green preservation of affordable housing with a policy forum at NYU's Wagner School in partnership with Enterprise Community Partners. Read more about this program here. Pollution is a major concern for Long Island Sound – a fact that is made painfully clear every summer. Lots of people want to enjoy the nice weather by spending time at the beach, but no one wants to hear their beach is closed because there are bacteria from raw sewage swimming in the waters. This is the reason Long Island Sound beaches close every summer and that number is on the rise. Last summer alone, there were 136 beach closings in Westchester County. Not only is the pollution a threat to public health, it is bad for the surrounding environment. Each summer, low oxygen “dead zones” overwhelm the Sound. The hot weather means oxygen levels can drop down to almost nothing. The ecosystem suffers the brunt of it because the fish, lobsters, crabs, and other marine animals are unintentionally caught in these unsafe areas. We must take dramatic action to clean up the Sound. We’ll need old sewer systems and pipes fixed to stop leaks and overflows of sewage and fertilizers – but first we need to develop the political will to get the job done and make the right investments. That’s why NYLCVEF stepped up our efforts to protect the Long Island Sound this summer. Throughout the month of June, we reached out to 20,000 individuals to identify their interest in learning more about how they could protect the Long Island Sound. This was done through a mobile outreach program, that reaches people directly on their cell phones and enables them to get more information on a mobile website. The response was overwhelming! Citizen activists responded in earnest, with nearly 1,500 taking a pledge to protect the Sound in a number of ways including reporting pollution to environmental enforcement agencies, reaching out to public officials in support sewer infrastructure improvements and keeping a healthier garden and lawn. These new citizen activists continue to stay involved by volunteering, learning more about the issues in their area, and educating their neighbors. This project was possible thanks to a generous grant from the Verizon Foundation. NYLCV’s Education Fund also was proud to work with local organization Save the Sound to create the content and engage the local community. At the Bronx District 15 City Council Candidate Forum on Sustainability last July, it was clear that access to healthy and nutritious food was a key concern for not only the 60 people who turned out to the forum, but also to local leaders and advocates who have been fighting for healthier communities. Building healthier and more equitable communities requires a commitment to tackling all the contributors to poor health outcomes. In parts of the Bronx, 4 in 10 adults report not exercising at all and 9 in 10 adults eat fewer than five servings of fruits and vegetables per day. The lack of healthy food, opportunity for physical activity, and proper nutrition and fitness education contributes to rising rates of obesity, diabetes, and heart disease throughout underserved communities in New York City. Children in these communities are affected by these factors at an early age and, without proper intervention, are at a high risk for developing chronic conditions later in life. NYLCVEF teamed up with Mary Mitchell Family & Youth Center and Bronx Health Reach to tackle a local sustainability challenge. Our shared mission was to address the lack of access to affordable, fresh, healthy produce and the need to expand city programs that help low-income families access healthier foods. As part of our partnership with these two Bronx organizations, NYLCVEF last fall knocked on about 4,000 neighborhood doors and collected more than 1,700 signatures in support of Health Bucks, a program that distributes $2 vouchers for every $5 spent on fresh fruits and vegetables by low-income families. To follow up on last year's work and set the foundations for future efforts, NYLCVEF, Mary Mitchell Center and Bronx Health Reach met on Jan. 22 with District 15's new Council Member, Ritchie Torres, We delivered 1,772 postcards from residents urging him to support and expand the Health Bucks program. Health Bucks, worth $2 each, are developed and distributed by the New York City Department of Health and can be used to purchase fresh fruits and vegetables at all farmers' markets in five boroughs. Farmers' markets that accept food stamps (SNAP benefits / Electronic Benefit Transfer - EBT) will give one $2 Health Buck coupon to each customer for every $5 spent using food stamps. Health Bucks helps low-income families increase their buying power by 40 percent, and encourages them to spend more of their public assistance on fresh produce at farmers markets. This program has tremendous potential, since 1 in 4 NYC residents are enrolled in some form of public assistance. Health Bucks started in 2005 and is now the nation's largest municipal farmers market incentive program. In a CDC study, researchers found that farmers markets offering Health Bucks coupons to food-stamp recipients averaged higher daily sales than markets without the incentive. The bottom line is Health Bucks is a win-win for the health of low-income families and the livelihoods of our regional farmers. We are thrilled to report that Council Member Torres committed to not only to promote the Health Bucks program to all community-based organizations in his district, he committed to working with us to expand the Health Bucks program beyond farmers markets to other food retailers. We look forward to working with Council Member Torres and the entire City Council to advancing these and other good sustainability policies in 2014! Yonkers Deserves a Sustainable and Accessible Waterfront! In the fall of 2012, Yonkers will be electing a mayor and new City Council, and the winning candidates will play a key role in the future of Yonkers' waterfront. NYLCVEF has joined forces with Scenic Hudson and Riverkeeper to educate Yonkers voters about waterfront revitalization issues and the role that their elected officials play, and to engage them to vote for the candidate they feel has the best plan. In the last decade, the Hudson River waterfront in Yonkers has undergone a sweeping revitalization. This formerly ignored shoreline now boasts hundreds of new residential apartments, restaurants and other urban amenities, and a redeveloped public park and landscaped esplanade. But despite this progress, Yonkers residents deserve more. The four-mile long shoreline still encompasses several blighted areas, and questions remain over whether and how these areas will be revitalized. Future development plans must include ample open space, smart growth principles such as adequate connections to existing mass transit, and full access to the waterfront for all Yonkers' residents.